JSON Prettier Printer that occupies a minimal number of lines while pretty-printing given JSON, using prettier which is Go implementation of "Wadler's "A Prettier Printer". 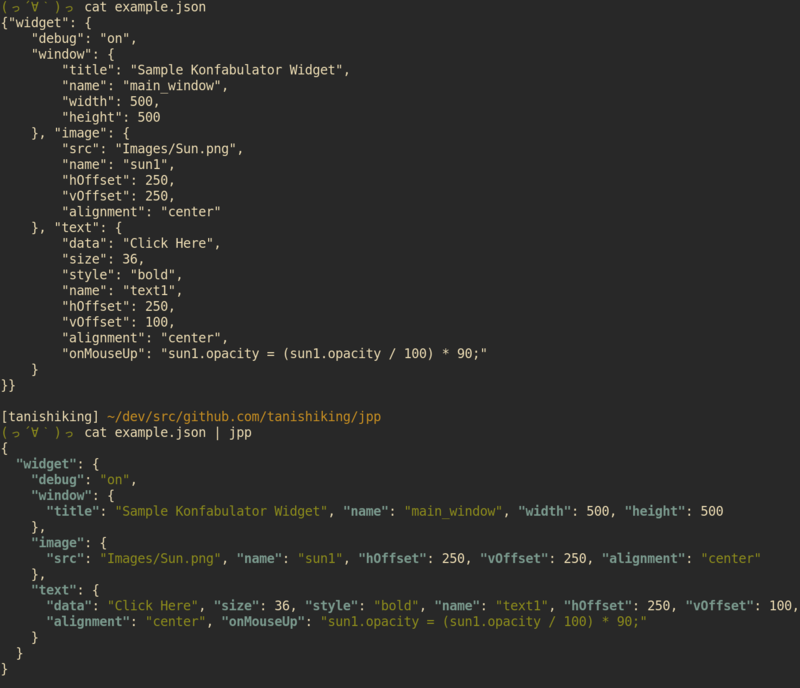 jpp is quite useful when we want to pretty print the JSON whose each node has a lot of children scalar values. It just attempts to keep lines within this length when possible.